to stay home and watch the Vols at Tourney Time. I'm not even joking. It was a 2nd job I'd taken on for extra money & wasn't really feeling it anyway, so I figured that was as good a reason as I'd find to take that job & shove it, and that's exactly what I did. Seems like there was a poster a few years back who postponed his wedding because it coincided with a Big Orange football game. What's the biggest thing any of you have sacrificed to catch a Vols game? Football game against Kentucky. 2007. We win and we’re the East champs; we lose and Georgia are the champs. UK was good this year and it was a heck of a game. I went to work hours late that day on a late shift and kept my ear buds in to finish the long game. I was just a teenager then, but thanks to my usual work output, all this was forgiven. In my second job in Pigeon Forge, I listened to UT football games while working out at the golf hut handing out golf clubs and golf balls for mini golf. Just thought of another one. The same girlfriend, except at this point we had only been dating probably 2 months tops so she didn’t quite understand my obsession for UT football. I absentmindedly made plans to go on a double date with her best friend and her new boyfriend the evening of the 2015 Oklahoma game. It was the day of the game and it hit me “crap we were supposed to go out tonight”. So I came up with an excuse to get out of it. I have really bad migraines and I faked a migraine so I could stay home and watch the game. Well, it wasn't something to catch a game, but my wife kept bothering me during the game. So, when the Vols lost to Florida (football) in '93, my wife and I got in an argument and I left her for good. I was drunk, mad and probably overreacted (although I knew it was over for months, I was just trying to make it work for our daughter) and this fight, really over nothing, was the straw that finally broke the camel's back. We legally separated and were divorced early in '94. Great decision, tho. When I was a student at UT (1990s), I worked at a Pet Store in West Knoxville. I told the manager that I wasn’t able to work during home game days. Well, they scheduled me for one anyways. I went to him and said I couldn’t do it and politely asked if he could switch me with someone that could. He said no. I quit and walked out. I always pick jobs that allow me to never miss games. One of the reasons I became a teacher. I guess you could say I sacrificed making decent money. I got all you suckers beat. Well, I don't. But my Papaw does. In 1990, my Papaw had both retinas detached. He had surgery to correct them, and was instructed to stay in bed for a week, at least. Not sure of the time, I was very very very little. Anyway, all that sounds well and good, but that weekend the Vols played Notre Dame! Notre Dame! He wasn't gonna pass that up. So he got up out of bed, put on eye patches and sunglasses, went to the game, hollered and cheered on the Vols, and is now legally blind. If you make a small little hole with your index finger and thumb, and hold it up to your eye, that's about the extent of his field of vision. Well, this wasn't quite a sacrifice, but it came pretty damn close to being one. This is a bit of a story but here goes. The year was 1998. As an aspiring theatre major, I spent my college years participating in all the major department shows. Being cast in those shows meant participating in everything -- read throughs, technical rehearsals, dress rehearsals, and finally, show nights -- and I greatly enjoyed all of that stuff. But what I did not enjoy was having to kiss some Saturdays goodbye. Or at least, kissing the ability to watch the games on TV goodbye, as there was no such thing as cell phones or internet video in 1998 and no television in the theatre studio. Now, as it so happened, there was one other serious Vol fan in the cast for our major fall show, and we were a desperate duo at times. Some Saturdays you could find us hovering around a radio in the costume studio buried beneath the theatre space, taking shifts between scenes to keep each other informed. If either of us had a scene, the first thing we'd ask the other after hitting the curtains and heading downstairs- "What's the score?" If both of us were in the same scenes, we'd peel out first thing and get downstairs to keep on top of things. Alright, so that's the general setting. Now let's get to the gamble. November 14th, 1998. You know -- that game. The game. #1 Tennessee vs #10 Arkansas, so of course it's at night, which is also when theatres like to put on performances. In theatre, actors and crew are always called well in advance of showtime, so we found ourselves pacing pregame and hovering around the radio for kickoff. Stoerner made that first TD. Ok. We could handle that. Stoerner hit Lucas for the second TD. Pacing intensified. Everyone around us was getting into character, focused on the show, but us two? Nervous wrecks. Probably lucky we didn't miss any of our cues, especially once Stoerner found Lucas again to make it 21-3. It felt like every time we came back downstairs we'd heard John Ward say "Chukwuma" (or whatever his name was) or "Stoerner to Lucas." More scenes. More football. And then it was halftime. For whatever reason, I had started telling my friend "we just have to believe. You have to believe. They can do this." I think I was talking to myself as much as I was to him, but I kept on saying it. Second half starts, and Tee made that touchdown pass. I got more into it. "You just have to believe!" And my friend started saying it back to me. "You just have to believe!" "I believe!" "I believe!" So we're bouncing off the studio walls, hoping Tennessee can make the comeback real. More scenes upstairs. Run back down to get the score. Hall made that field goal to make it 24-20. End of the third. Ah, that's right - the gamble. Fourth quarter. I forget now if I was the one who proposed this, or if my friend proposed it to me, but I prefer to think that we each hit upon the same idea at the same time. We entered that quarter knowing three things for certain. First, we knew there was a student dormitory not four hundred yards away from our theatre, with a TV on the second floor commons room that would have the game on. Second, we knew our play's intermission, all ten to fifteen minutes of it, was pretty close to overlapping the last minutes of the fourth quarter. And third, we knew that come hell or high water we were determined to see Tennessee make a comeback win on a television. In other words, we knew we were going to run over to that dorm and watch the end of the game on a TV. Now in theatre, you do NOT leave for any reason during a show. It's unprofessional, especially when people are counting on you to do your job, and you just don't do it. S'naughty. Had I caught anyone sneaking out during my many shows there (or later), I would have chastised them for acting so immaturely and putting the show at risk. All very good points. Fortunately, we didn't have to hear any of those points, because no one caught us sneaking out the side entrance to the theatre just before intermission. We sprinted across the soccer field, caromed off the stairwell walls, and blasted into the commons room so forcefully that the door slammed against the wall. And as it turned out, we'd made it just in time to watch the Arkansas drive that sent the ball through the back of the endzone. 24-22. Being a southern college, the room had Vols, Bammers, Tigers (both kinds), Arkansas fans, and more. Everyone was talking trash -- lotta hollerin, if you will. My friend and I were still yelling "Believe!" at each other between every gasp for air. Tennessee turned the ball over on downs, but I shook my friend and shouted louder - "You have to believe!" "I believe!" he shouted back. The chatter intensified. "IT'S NOT OVER!" I roared. To this day I don't know why I said that, but then Ratliff blew Bulsworth off the line. Stoerner fumbled. My friend and I (and the other Vols) starting jumping all over the room. "YOU HAVE TO BELIEVE!" "I BELIEVE!" Henry drove that ball for fifteen yards. "BELIEVE!" Other Vols in the room started yelling it with us. Fifteen more yards. People were going nuts. Up and over, touchdown Tennessee! The room was bedlam. High fives between all the Vol fans. The Arkansas fans, inconsolable. Gator fans? Irritated. And then my friend and I realized the intermission ended five minutes ago and lit out like our asses were on fire to get back to the theatre before anyone noticed our absence. We survived, and thankfully only a handful of people had any notion we'd been missing. Our next cue was ten to fifteen minutes out, so we even had time to compose ourselves. Pfew! Granted, we knew we had the time to spare, but all the same - pfew. What a night. What a game. Did it cost us in the end? Thankfully no. It sure could have, though -- could have cost us both quite a bit. But we didn't care. We were all in. And when Tennessee mounted that comeback, we knew what we had to do. I skipped Thanksgiving 1 year when I was a student to stay on campus for the football game (I lived 6 hours away). That was 20 years ago and I don’t think my mom has fully forgiven me. In 1983 I was working at a hardware store while in high school. I gave more than enough advance notice that I needed off a weekend to go to the UT/Ole Miss game. I was scheduled that weekend and quit. It was a night game in November, extremely cold and we lost. One year during a tourney game, don't remember if it was SEC or NCAA, I took my transistor radio into the auditorium for a standardized test to listen to the game. I did not do so well on the test. Likes: Vols All Day and All Vol! 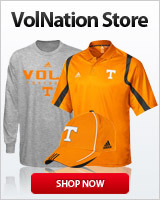 Over the past few years I have sacrificed my ears listening to Vol Games while Dooley and Jones were on the sidelines. 1996 UT Ole Miss in Memphis.. On a weeknight.. I had a conference golf match in Pipestem WV and i was a captain as a sophomore and I told my coach I had a family emergency to be able to watch. Likes: VFFL@THE BEACH, Vols All Day and All Vol! When the tornado his the Georgia dome during the sec tournament 2008 they moved the games to Georgia techs arena and wouldn’t honor anyone’s tickets. So I pretended to be a member of the press and got in. Sorry, that's stupidly, how many games did or has he missed SEEING sense then. This and most other "sacrifices" listed here need the follow you and another poster or two have given for the decision. Reading posts, I feel many of you guys are proud of your actions. Weddings during football season are my biggest pet peeve. In the old days I'd wear my Walkman under my coat and listen to Ward thru earbuds. The last wedding I went to was TN vs TX A&M when Kamara went off. We delayed the reception while the Vol fans gathered around smart phones to watch the end of the game. On September 20, 1997 I was getting married, yeah I know on the day that our VOLS played the Gators. The game was televised nationally for a 3 p.m. kick-off, which we didn't know when we initially planned the ceremony. Long story short, we changed the start time of our wedding at the last minute so that we wouldn't miss the game. We lost the game and my new bride asked if I was going to be pissed during our honeymoon . . . Of course I said, "yep" . . .
Later that year a friend of mine, also a VOLS fan and alumni, was getting married on the evening of December 6, 1997 - VOLS vs. Auburn in the SEC Championship Game! The ceremony began right at kick-off and we had no way to see the game . . . Until myself and another groomsman found a TV in a room not far from the alter. We relocated the TV just outside of the view of everyone except the groomsman . . . after the ceremony we rushed to a bar just down the street to watch the rest of the game, which meant that we missed a good portion of the reception. Oh, and the groom went with us to the bar!! LOL His new bride was pissed to say the least!! Fell out of a tree, refused to go to ER until Fla. game was over. Cutting limbs 6 yrs ago, branch knocked me out of a tree. I lay on ground unable to breathe until a neighbor came by and got the wife out of the house. They carried me inside, still having difficulty breathing and they wanted to rush me to the ER. I refused until after the game. Later went to clinic, had a few broken ribs, spine was okay. I still can't sleep well at night. Problem is I don't remember who won. I've got another "S" word that comes to mind instead of "sacrifice." 1992 while I was in college I was dating a girl. She lived about an hour away. She asked me to come over. I told her I couldn't until the game was over and she said I could just watch it her house. Tennessee is destroying whoever they were playing and she changed the channel and said "Football is boring" I sat in the car in her driveway and listened to the rest of the game. Next week she asked me to come over again, learning my lesson I said not until the game is over. She told me I had to choose which was more important, her or Tennessee Football. I said " Choice made" and hung up the phone. Last time I spoke to her, although it was awkward when we in the same class the rest of the semester. I quit my job when my manager told me I couldn't take the time off to go to the Fiesta Bowl for the BCS title. It was worth it.